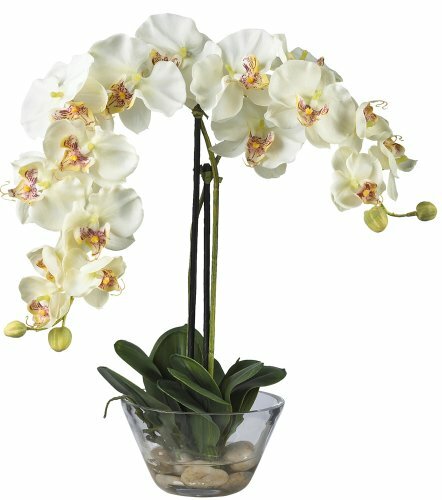 Standing twenty inches high, this grand member of the orchid family is sure to make a spectacular impression. A mix of brightly hued petals graced by two delicate buds adds a simple yet elegant touch. Perfect for a dining room centerpiece, this attractive Phalaenopsis arrangement is adorned by lush green leaves. A delicate round glass vase adds the perfect finishing touch to this floral masterpiece.